Home / News / Cases / Is the Article 50 notice revocable? On Tuesday 27 November, Gerry Facenna QC and Anneli Howard appeared before the Full Court of Justice of the European Union on behalf of two Members of Parliament, Chris Leslie MP (Lab) and Tom Brake MP (Lib Dem) in the urgent preliminary reference case concerning the UK’s Article 50 notice. The Court of Session in Scotland referred the question of whether the Article 50 notice could be unilaterally revoked by a Member State and, if so, on what terms and with what effect. 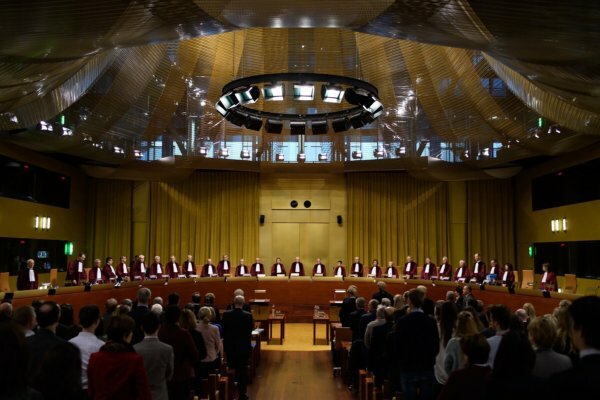 The hearing before 27 Judges involved extensive debate and questions on admissibility, the jurisdiction of the CJEU to accept preliminary references seeking prospective guidance on the law, and the legality under EU law of any decision by the UK to change its mind about Brexit. The President of the Court observed that the case was a constitutional landmark moment for the EU. The MPs, together with the Petitioners (a group consisting mainly of Scottish politicians including an MP, MSPs and MEPs) argued that, under the EU law, a Member State that has notified its intention to leave still remains free to change its mind unilaterally, and remain within the EU, provided it is acting in good faith. The UK Government invited the Court to dismiss the reference on the basis that it was hypothetical. The EU Council and Commission accepted that an Article 50 notice was revocable as a matter of law, but took the position that this could only be done with the consent of the other 27 Member States on the European Council. The Advocate General has indicated that he will hand down his opinion on 4 December 2018. The Court’s judgment is expected to follow shortly afterwards. Gerry Facenna QC and Anneli Howard acted alongside Scottish counsel Morag Ross QC and Stephen Donnelly, instructed by Jennifer Jack of Harper Macleod and John Halford of Bindmans. Details of the intervener’s pleadings and oral speech can be found here.